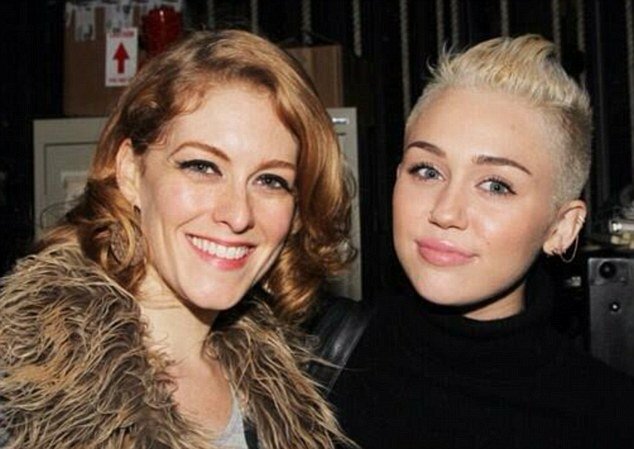 Dylis Croman has been identified as the mystery woman posing with Miley Cyrus in a cryptic Twitter post in which the singer gives her father Billy Ray a very public ultimatum. Dylis Croman starred alongside Billy Ray Cyrus during his late 2012 run in Broadway show Chicago. Billy Ray Cyrus – who recently split from wife Tish again – is seen here posing with Dylis Croman in a photograph taken last November in New York at an after party following his debut in the hit musical. On Monday night Miley Cyrus tweeted her father, after he continued to ignore her texts: “@billyraycyrus since you won’t reply to my texts I’m giving you an hour to tell the truth or ill tell it for you (sic)” and attached an image of her with an attractive mystery woman. Miley Cyrus, 20, was seemingly frustrated with her father’s lack of communication over the last few days, but it appears she quickly had a change of heart. Miley Cyrus’ later tweet seems to conveniently suggest her Twitter account was hacked. But this isn’t the first time that Miley Cyrus has used the social networking site to berate father Billy Ray. Billy Ray Cyrus didn’t reply. However, despite being taken down, the picture of Miley Cyrus and Dylis Croman and her accompanying message have certainly raised questions about what the singer is insinuating about her father and his former Broadway co-star. Billy Ray Cyrus and Miley’s mother are currently going through divorce proceedings again after Tish filed due to “irreconcilable differences”.